“But none for the little boy who cries in the lane” – quite the opposite of the lines we know so well. The suggestion is that this was in objection to the wool taxes introduced by Edward Longshanks on wool exports, which funded his military campaigns. The Royal tax was 6 shillings and eight pence per sack of wool – a third of the cost of the full sack – one third went to the king, or master, two thirds went to the church and none for the shepherd, illustrated as the little boy crying in the lane. 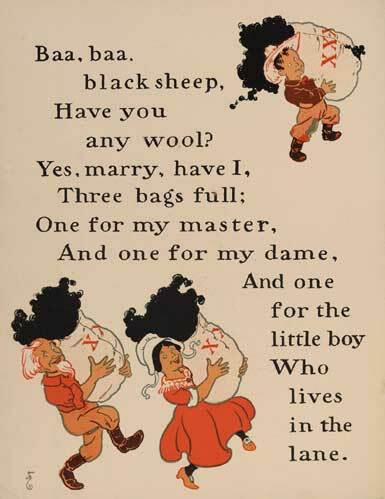 Of course, ever open to interpretation, there have also been suggestions that the rhyme related also to the slave trade, servitude (“yes sir, yes sir”), disgrace (black sheep) and racial allusions. Whatever the origin, it is quite surprising to learn that a rhyme that talks of polite sharing has it’s origins in taking so much away from the very people who needed it most. 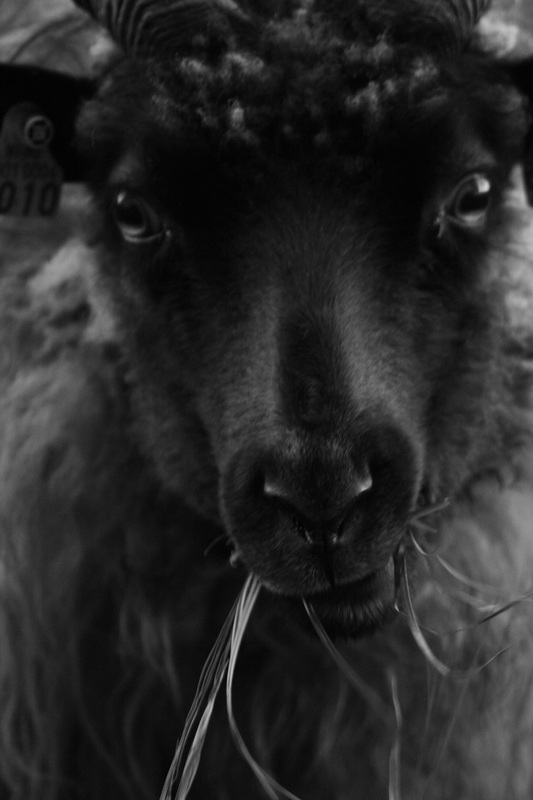 We love Charlotte Mårland’s image of this grazing ewe in Oslo from Wovember 2011. Such character! Later on tonight we have a Friday Night Vi-EWE-ing especially for the next generation of wool lovers. Come back at 7pm.